It all started with a happening. Ever since our historically first event at Wenceslas Square in Prague, in the eyes of the public, we are inseparably connected to unconventional happenings. 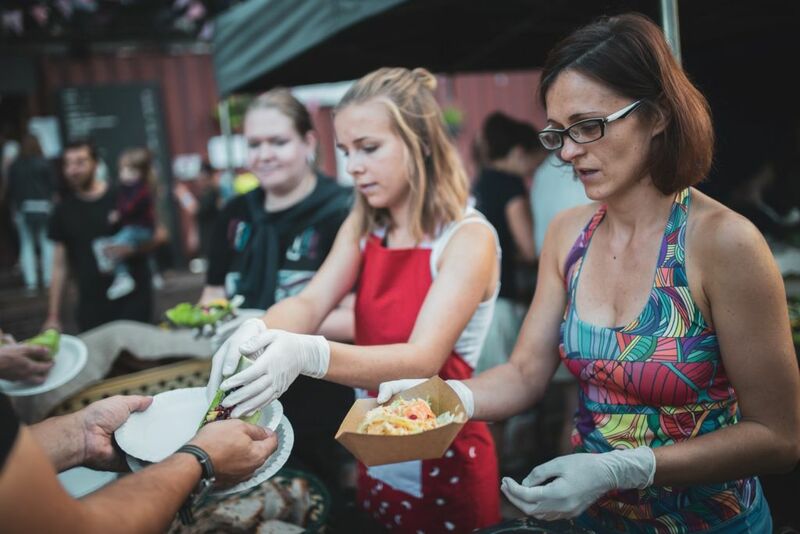 We believe that the best way to draw attention to the issue of food waste is to organize unforgettable events. In Stromovka park, we prepared three versions of salads from wonky fruits and vegetable, under the supervision of a chef Michal Hromas. We ate and gave away over half a ton of food. Besides the salad preparation, we organized fermentation workshops, and we drank beer made from bread. We prepared 1,000 jars of jam using fruits and vegetables which otherwise would have been thrown away. Apart from jams and chutneys, we also made pickled zucchini, played quiz games, ate fruit and enjoyed music and theatre. During this happening, we served 2,000 portions of free soup made of vegetables which would have otherwise stayed in the fields due to their aesthetic imperfections. We also reached out to the public via the media to inform people about all the produce which is never even harvested, and to suggest some solutions. On third Advent Sunday in 2015, we were giving away Christmas bread that got rejected by the shops because either the dough didn’t rise enough, or the shape wasn’t quite right. In just two and a half hours we gave away 360 pieces of pastry. 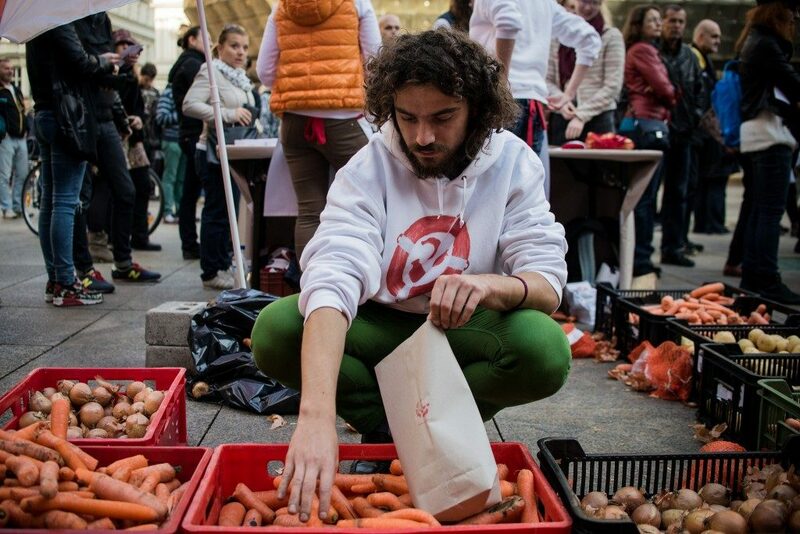 In October 2013, we sold wonky vegetables in Prague. People could take full bags of potatoes, carrots or cauliflowers from local farmers for just a symbolic price. We shared a meal at Wenceslas Square in Prague. We ate 450 kilos of wonky vegetables, and for the first time, we have publicly highlighted the issue of food waste.